The Port Authority of New York and New Jersey’s Board of Commissioners have given final approval to a lease agreement with Delta Air Lines for its new $4 billion, 37-gate facility at LaGuardia Airport. The new facility will be much more passenger friendly and provide 30% more concessions space than is currently available. This is a revised proposal, with the airline funding most of the costs. The Port Authority has committed $600 million to the Delta project, with the airline providing $3.4 billion and assuming responsibility for any cost overruns. 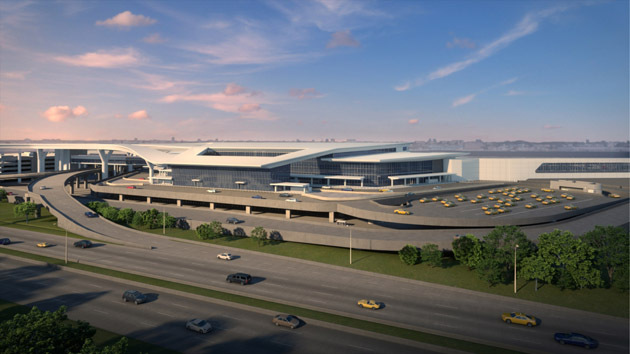 All of the new airport terminal facilities will be located closer to the Grand Central Parkway, which will provide significantly more airfield space. The new facility will consist of 37 flexibly sized gates that can accommodate Delta’s full fleet, four concourses connected by a centralized check-in lobby, security checkpoints and baggage claim areas. It will also will offer wider concourses, larger gate areas and more seating, as well as 30% more concessions space than its existing facilities, as well as house a new Delta Sky Club. The approval is the final component of the transformation of LaGuardia into a completely rebuilt, 21st century air-port, says PANYNJ. The Delta work will begin later this summer. The redevelopment of the Delta facilities is part of the overall LGA project that broke ground in June 2016 on the construction of the new roadway configuration and on the passenger terminal concourses on the western half of the new airport.